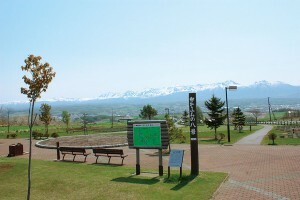 Kamifurano is a small town approximately at the center of Hokkaido. 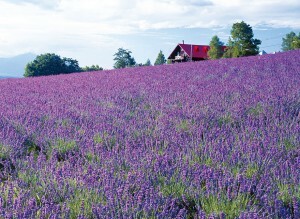 It is known for lavender, but has a lot more to offer. Look for other views just as beautiful by walking around the town. 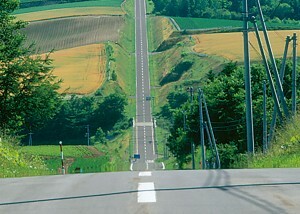 The 2.5-km-long straight road has a large variation in altitude, with both gentle and steep ups and downs. It is a popular tourist spot with beautiful and extensive hills and the breathtakingly magnificent view of the Tokachi-dake mountain range. The straight road looks as if it is leading right up to Mt. 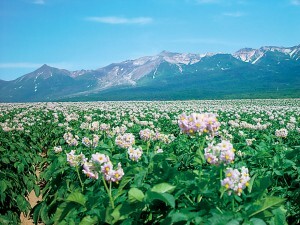 Furano-dake. You can feel the sense of being sucked into grand nature. 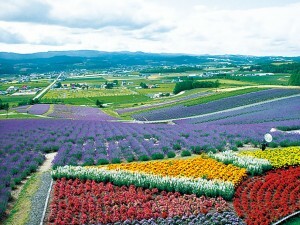 The garden commands a 360-degree view of colorful fields of flowers, streets, mountains and everything else. This tranquil grassland that lies on the outskirts of the town commands a panoramic view of the Tokachi-dake mountain range and Mt. 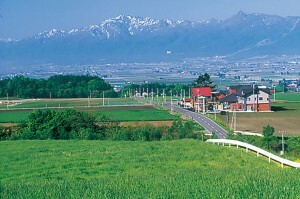 Yubari-dake. 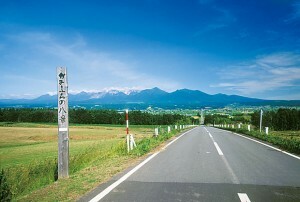 The view of the Tokachi-dake mountain range seen from up close is splendid. The drive route is dotted with scenic points. 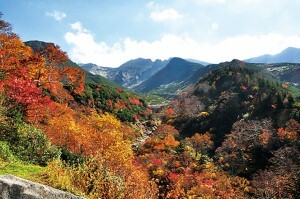 A high-lying hot spring resort where beautiful autumn leaves can be enjoyed the earliest in Japan.